The trading tactic used for the simple harmonic index is merely the centerline crossover. 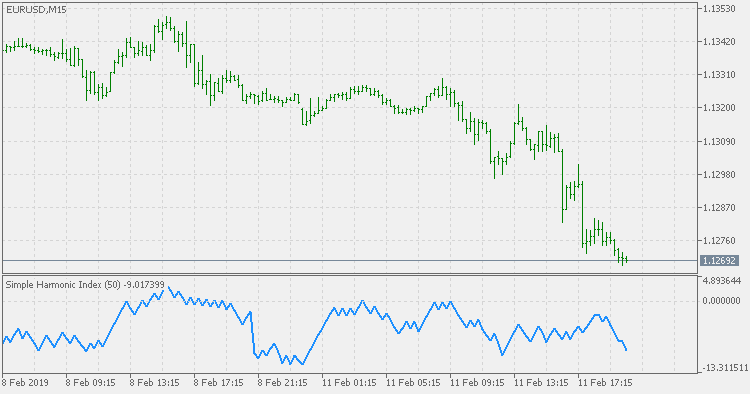 A buy signal is generated when the SHI line moves above the zero level to turn positive. The period of the bull cycle rises, leading to an increase in price displacement. A sell signal is generated when the SHI line crosses down the centerline to turn negative.